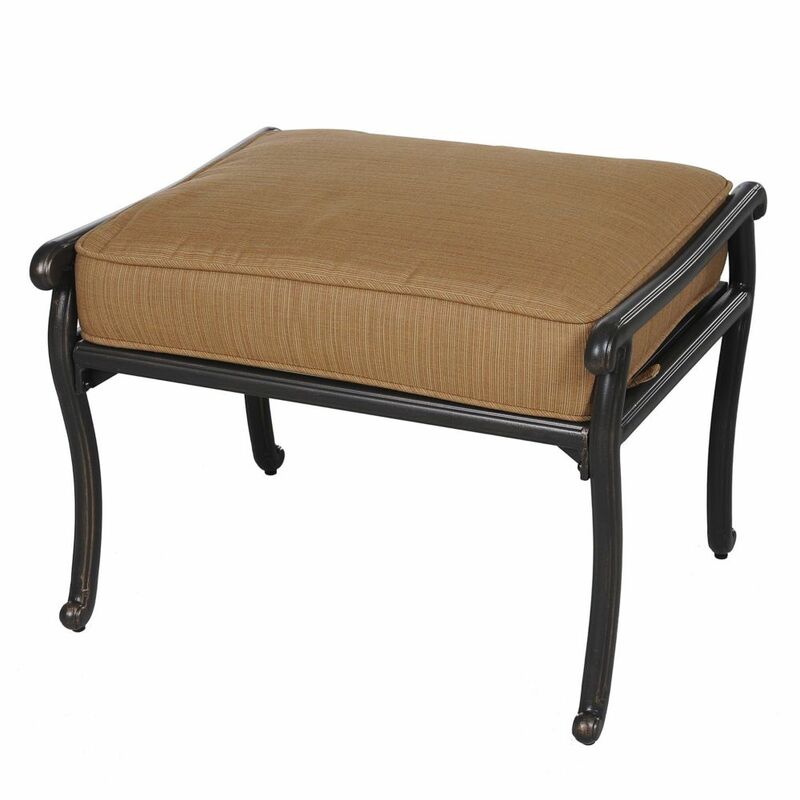 Throw your feet up on this luxurious ottoman and instantly become the king or queen of relaxation at your home. Featuring a plush cushion made with premium Sunbrella fabric which is designed to resist fading, moisture, and mildew, this cushion is as durable as it is comfortable. The all aluminum frame is both lightweight and rust-free, making this ottoman a perfect choice for relaxing next to the pool or any place where exposure to water is a concern. Create a tranquil and majestic atmosphere with the Laguna Collection by Home Styles. This outdoor chaise is constructed of a woven vinyl seat and back over a powder-coated metal base in a black finish and the accent table is constructed of hand laid slate tile. This wooden bench with backrest and two planter boxes enhances the look of your deck, porch or garden. It offers sturdy and firm seating with a slanted backrest and comes crafted from Cypress tree wood that resists cracking, decay, and insects. With two roomy planter boxes you can display tall or trailing blooms easily! Ruby Ottoman Throw your feet up on this luxurious ottoman and instantly become the king or queen of relaxation at your home. Featuring a plush cushion made with premium Sunbrella fabric which is designed to resist fading, moisture, and mildew, this cushion is as durable as it is comfortable. The all aluminum frame is both lightweight and rust-free, making this ottoman a perfect choice for relaxing next to the pool or any place where exposure to water is a concern. Ruby Ottoman is rated 4.0 out of 5 by 1. Rated 4 out of 5 by PhoenixGal from Very nice footstool This is a nice footstool. My only issue was it was a little too high for comfort. I'm sure that's an individual thing. Just be sure to measure. Otherwise it's very attractive and was simple to put together!